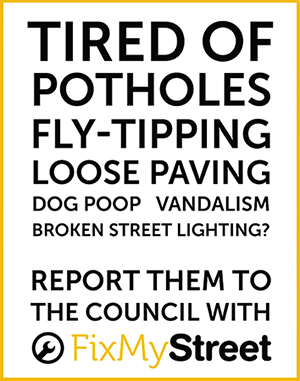 FixMyStreet is a free website that allows users to record problems on the roads around where they live including things like potholes, graffiti and flytipping. These reports are sent directly to the local council who then have the opportunity to respond to them and fix the problems contained within them. Fixing potholes on county roads is the responsibility of Oxfordshire County Council, except for and A roads, which are covered by Highways England. For any urgent issues, please call 0345 310 1111. On its website the council states that potholes may need urgent attention if they are more than 1.5 inches deep, or five inches wide. There is also an app available to download (for both iOS and Android), which will allow you to report any potholes or issues on the go. To report via desktop, visit the Oxfordshire FixMyStreet website.